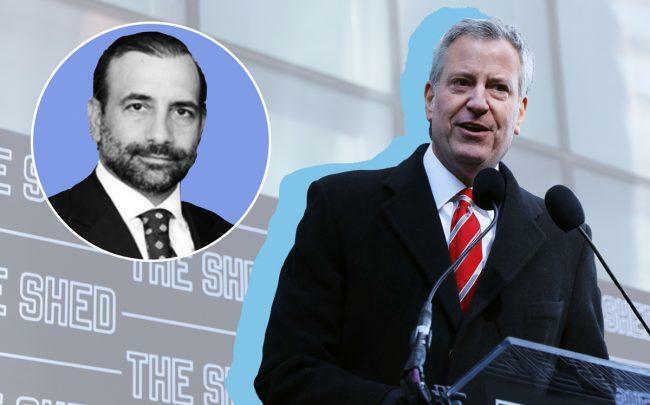 Home /Home/De Blasio pushes for $173M portfolio deal with controversial landlords. Their lawyer raises money for the mayor. The city this week is expected to close on a $173 million deal to purchase 17 buildings and convert them into affordable housing. But watchdogs and public officials say the deal raises questions about conflicts of interest and a lack of transparency. Initially, the total value of the buildings was estimated at about $50 million, the New York Times reported. A private appraiser later estimated it at $143 million. City officials said the price rose during the course of negotiations with the Podolsky brothers, who run Amsterdam Hospitality Group. Amid the negotiations, Caron donated the maximum $5,000 to the mayor’s federal political action committee, Fairness PAC, which he’s using to explore a presidential run. Heading in to the closing of the deal, Carone also solicited other donors. Both de Blasio and Carone said they had not discussed the real estate deal. City comptroller Scott Stringer wrote to the mayor’s office in March, asking to see the appraisals but was told that the city’s policy was not to release them — because the information could affect future negotiations. The mayor’s press secretary, Eric Phillips, said de Blasio’s ties to Carone didn’t influence the deal.